One major problems outdoor units face is weather.. The ability to resist any kind of weather condition will keep any outdoor unit for a longer period of time. In the internet world special equipments are meant for outdoor purpose such shielded cable and so on. Every outdoor units from mikrotik is well built to withstand both rainy and sunny day to maintain it’s signal strength. But in spite of all these, there time you will have chain of two p2p links with groove, fully installed using the mikrotik SXT outdoor unit. And then After unfavourable weather like thunderstorm, you will notice that mikrotik SXT is freezing the Ethernet port especially when it has being installed for more than a year uptime. The first thing that will come to your mind as a field engineer might be that the thunder might have damaged the components inside, yes this is an option. But what happens if your power cycle works ? yet the SXT In not accessible from your LAN or wirelessly. May be the SXT is accessible but it logs you out of the configuration interface after a period of time and keeps rebooting over and over again. Let assume you never know the problem from the start, but initially your notice from the activity log that the customer graph of utilization drops on interval. The first thing you need to do is to to recrimp the outdoor cable that is plugged into the internet boot. Make sure that you have scan and confirmed that the MIkrotik SXT maintained it signal ratio, then try and access the Wlan interface to segment the problem from your mikrotik wireless card. The next thing to do is to bring down the Mikrotik SXT if it is mounted on high altitude and power cycle it on a safe place and monitor its performance for a long period of time may be three hours or more. If the problem persist, that is if the router keeps rebooting, Back up the configuration if you can and do a hard reset the on the router. The next line of action if the routers problem is resolved is to monitor the wireless access point or the device that is distributing the internet and make sure is not freezing from the inside. 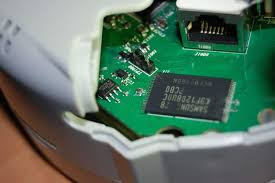 To do that, after restoring your backup, mount the mikrotik SXT back and put the other end of the cable coming from outside directly to you system/ computer and stream videos for a long time and then connect behind the wireless access point and then monitor the performance. Please leave a comment in the box and I will get back to you as soon as I can. ← Get The Best and Cheapest Data Plans For iOS And Android.